When I first started riding a road bike about seven and a half years ago I had to overcome both physical and mental barriers to cycling. I hadn’t really ridden a bike since I got my drivers’ licence when I was 17 years old, so I wasn’t bike fit and I didn’t have any bike skills. But it didn’t take me too long to get my physical act in order. I soon learned that my real barriers were mental ones – Could I really ride that far? Did I look ok in lycra? Was I good enough? Is this an appropriate past-time for a middle aged woman? These are all really stupid questions but they were the ones I was asking myself, particularly the first one. So here’s a few tips on how you can overcome the negative voices inside your head. 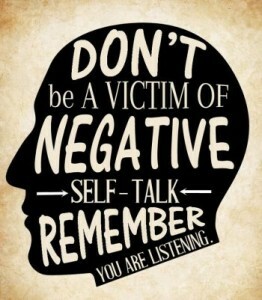 You need to replace your negative self-talk with positive statements. I’ve not managed to get ride of all the negative talk but I have learnt to use positive self-talk when I feel like giving up. I use statements like ‘at least you’re out riding instead of lying in bed too long’, ‘I have a healthy body and riding will keep it that way’, etc. I also focus on being present when I’m riding. Instead of thinking of what I’m going to do later that day, or what I did yesterday, I just enjoy the feeling of moving along the road and feeling free. Don’t over-commit. If you’ve just started riding or are getting back into it, do it step-by-step. You are far more likely to overcome a mental barrier if you start riding two or three times a week regularly rather than from nothing to seven days per week. This is particularly important when you first start riding. Wear clothing that makes you comfortable and don’t worry about what other people may or may not be thinking. In reality most people either don’t care, or don’t notice what you are doing. They are too busy focusing on themselves to give you a passing thought. Lycra cycle clothing is designed for the purpose of riding a bike so wear it. It’s comfortable, functional and if you get the right fit can even look good. I was really, really self-conscious when I first started riding and wore over-size jerseys and ¾ length knicks. Now I proudly wear fitted lycra shorts and jerseys. Goals play a huge role in overcoming mental barriers. You should sign up for an event or make a commitment to others about an upcoming ride. Don’t make it too hard or too easy. It should be a stretch and challenge but not completely ridiculous because you just won’t achieve it. But you’ll be really surprised what you can achieve if you set your mind to it. Don’t expect to overcome your negative voices in the first month of riding (or doing anything new). It’s taken me years and I’m still not fully there. I get very nervous before any major event. But what I’ve learnt about myself is that I just have to push through. I know that I’ll sleep poorly the night before something big, I’ll struggle to eat beforehand but as soon as I get on my bike at the beginning of the event, I’ll feel fine. So I force myself to keep going and I know that I’ll be okay once the event begins. Mental barriers abound. It’s learning how to manage them that counts. How have you overcome mental barriers to cycling? Please share via the comments or social media. A friend of mine once said “fear is just an over-active imagination”, which I have to remind myself of from time to time. Love that saying Liz. Another saying regarding fear is “what would I do if I wasn’t afraid?” When I ask myself that question, it usually puts me into action. Sounds familiar! Because I broke a leg in a fall while cycling, my biggest fear is to fall again. Since I was on a dusty road while that happened, I’m not too comfortable with gravel. But I know if I keep riding gravel roads, eventually I’ll feel comfortable on those roads again. I like Lizs quote. My negative voices are usually about why I should go out alone… I usually use Nicola’s quote… I’m healthy and this will help me maintain that… and my favorite is… something is better than nothing. I also love that saying that I’m further down the road than those still home on the sofa. 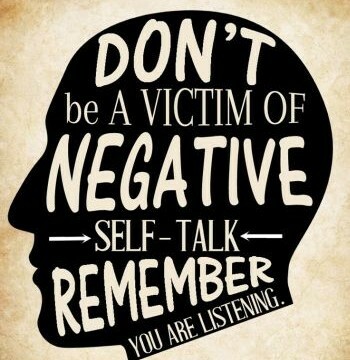 Im fighting a loosing battle with my negative voices at the moment… so this is a great reminder Nicola. Thanks.